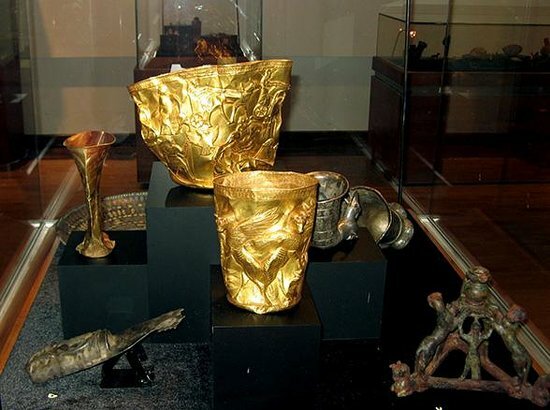 This is a picture of the Golden Cup display in the Museum of Iran. The cup is held with a Golden Bowl and other decorations. We are focusing on the bowl because there is little information on the cup.